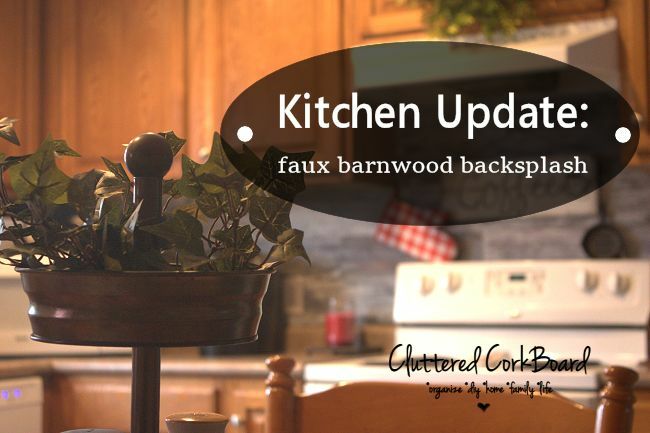 I decided I would share this recipe with you today.. It is just something you kind of throw together.. but very good! 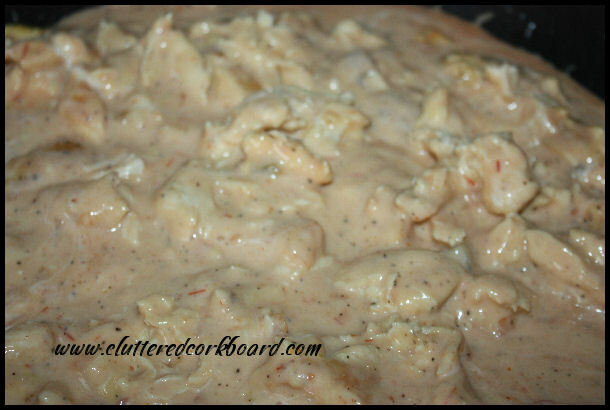 Chicken (cooked & shredded) - 1 lb or so..
Cook & shred your chicken, add in 1/2 cup of sour cream, can of cream of mushroom soup, 1/2 cup milk, salt & pepper to taste, & Picante Sauce. 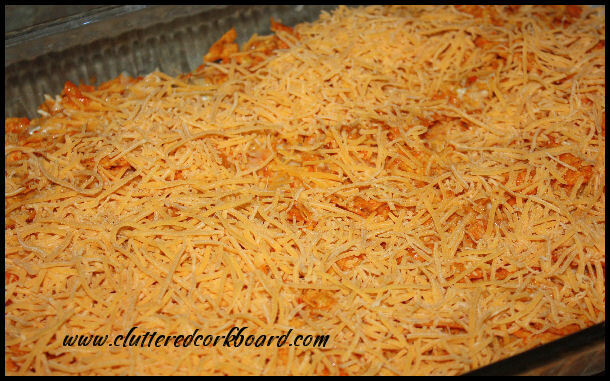 Crush up your chips (doritos) and place 3/4 of them in a 13 x 9 baking dish. Top with your chicken mixture. 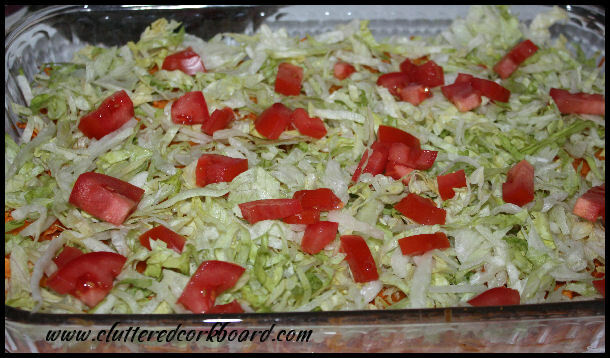 Remove from oven, top with shredded lettuce and tomatoes and whatever toppings you like. Looks delish! I make one similar to this that I found on Pinterest. It doesn't have the lettuce and tomato on it though. Yours sounds better...I'll have to try it sometime! Graduation Cap Lollipops for a Grad Party..
Family Art Project using Handprints.. Weekend Review and flea market finds..